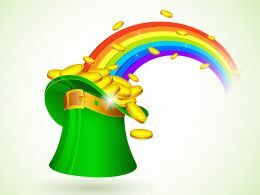 In this video, Abraham-Hicks are coaching on how you can attract more money into your life. 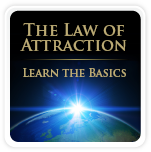 In this coaching session you will learn to adjust your vibration that you send out to the Universe in order to receive more money. Don’t forget to read the summary below. Here’s a summary on the Law of Attraction and Money, by SpritualCoach.com. Align with Source Energy – Be happy! In this example, you will follow a man who has a strong desire for big money. The man says that he feels and looks like a million dollars, but wonders why the money isn’t coming. Abraham-Hicks responds: “Accept that the stream of non-physical energy, which is the source of all things, does flow through and to you, when you smile”. But you say: “Abraham, I would rather have the money”. Abraham-Hicks explains that the money and the smile is the same stream, the same vibration. The vibration that allows the stream (the vibration that you offer when you smile) is also the vibration that allows the money. “work” to align your energy with that stream. Notice that “work” means that you do whatever you can, to feel happy. In your question is the answer. When you ask: “Why don’t have a million dollars”, and keep asking that question, you send out this dominant vibration to the Universe that says: “I don’t have a million dollars”. This is the way Universe is receiving the vibration that you are offering. You have to change your signal to the Universe if you want to start receiving money. When you are asking: “How do you offer a signal that is different from the reality that you are living?” you are vibrating your reality. Abraham-Hicks wants you to understand that the Universe does not know, or care, if the vibration that you are offering is in response to something you are living or something that you are imagining. In either case, the Universe accepts your signal. Abraham-Hicks suggests that you pretend and visualize the things that you want. Play the picture of having a lot of money in your head. Start visualizing yourself with a lot of money. What would you do with all that money? Visualize it like it’s happening right now. Describe what you are doing and how you feel? It takes a little bit of practice to get a positive cycle started, but it gets easier. When you have aligned with your desire, the money will flow to you. The problem is that many of us continue to think and talk about the absence of money after their visualization and ask why the money has not come yet. When you are hesitating and don’t really believe that the Universe will bring you your desire, you are sending mixed signals to the Universe. You are offering two vibrations: one of having a lot of money and the other of not having a lot of money. You are also sending mixed signals when you say: “The money is flowing easily but not in the amount that I am wishing for”. When you are practical and objective and wanting to explain it “honestly”, you hold yourself from where you want to stand. Go back and PRETEND. The Universe is responding to what your signal is. You have to purify your signal. Stop mixing the signal by asking “why” and by explaining your reality. 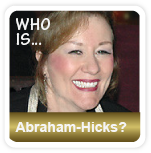 Abraham-Hicks encourages you to make a decision, and then work to find the feeling of that decision. Find that feeling-place of having a lot of money. What do you do now? Well, you can’t ever think about money in the term of absence. In fact, you don’t have to think about money again, and the dollars will flow to you. You have vibrated your desire and the Universe has got the signal. Now you have to deliberately think about what you are wanting. You have to obsessively and deliberately vibrate in only the direction of what you are wanting and you your money will flow to you.